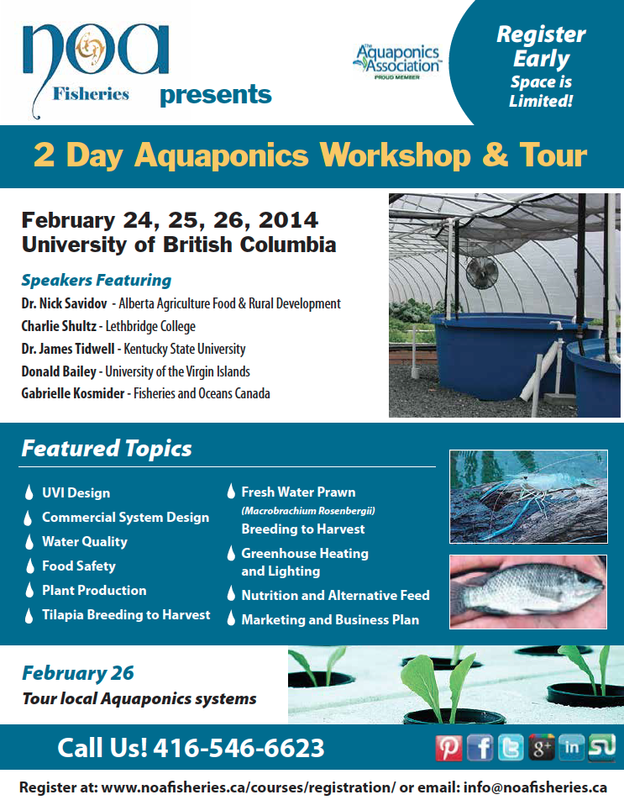 A few spots are still left in the 2 Day Aquaponics Workshop and Tour at UBC Vancouver Feb 24-26. Start off right and learn from the best!! At the round table discussion you will be able to ask all of the experts your questions. Don't miss this exceptional opportunity! The tour will include two of our (justaquaponics.ca) systems. We will also be speaking at the event.